One of the most rewarding benefits of being an ABA therapy provider is the care and assistance your practice can offer the families of the United States Armed Forces members. 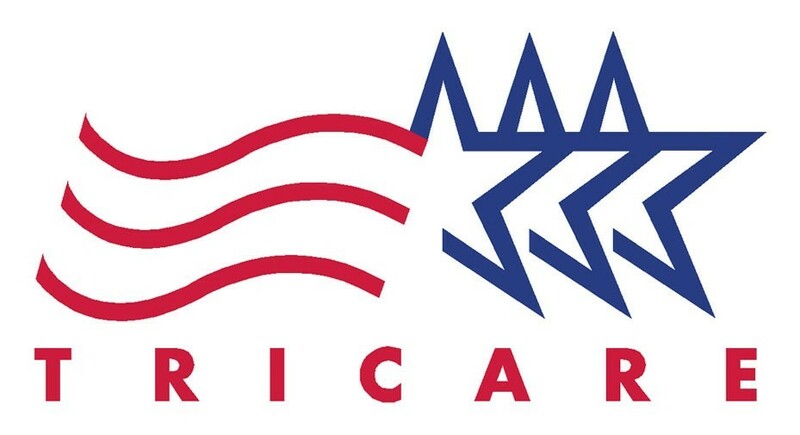 In order to meet the insurance and healthcare needs of uniformed services members and their families around the world, the health care program known as TRICARE provides comprehensive coverage to military personnel and their dependents with benefits that include health plans, special programs, prescriptions, and more. One of the special programs delivered through TRICARE is the TRICARE Comprehensive Autism Care Demonstration which can help military families cover the expenses associated with ABA therapy and services. This post is your go-to guide for any and all questions you have regarding ABA therapy coverage and reimbursement via TRICARE. We cover everything from TRICARE recognized ABA CPT codes to help your clients determine their financial costs for ABA therapy to the major changes TRICARE has experienced in 2018. Read on to get started. What is the Autism Care Demonstration? The Autism Care Demonstration (ACD) is aimed at providing ABA services under the TRICARE insurance to the families of active-duty, retiree, and Reserve and Guard members, and to gather data for future programs geared toward treating patients with autism spectrum disorder. The current ACD is being used to evaluate and determine qualifications for providers offering ABA therapy. It is also assessing the reimbursement rates for ABA providers, services, evaluations, and supervision to ensure they are effective and economically viable. The rates established for the Autism Care Demo were implemented in 2014 and will remain effective until December 31, 2018. To determine current ABA TRICARE rates, several initiatives were taken including four roundtable discussions which involved a consortium of ABA providers, pediatric physicians, ABA certification organizations, Defense Health Agency (DHA) personnel, and autism advocacy groups. Alongside these discussions were two commissioned reports developed by the RAND Corporation and Kennel and Associates, Inc. to help establish TRICARE professional rates that would be comparable to current commercial and Medicaid reimbursement rates. The DHA endorsed the “National Rates” as established within the Kennel and Associates report. These National Rates were calculated using the Medicaid rates of 29 states with established rates. These rates were then increased to adjust for differences in reimbursement rates between Medicaid and Medicare. They were then adjusted once again using the Medicare Geographic Practice Cost Index (GPCI) to create rates for each of the 88 localities recognized by Medicare. This is to ensure ABA rates are not inappropriately fixed for years and this will allow them to be readjusted on annual basis like other TRICARE rates. What are the CPT codes TRICARE recognizes for ABA services? The codes recognized by TRICARE do not appear in the current Medicare Physician Fee Schedule (MPFS). These codes were developed to create a baseline within the program because of the current variations in ABA provider reimbursement rates from Medicaid and commercial health insurers. TRICARE has established that if Medicare recognizes these eight CPT codes and develops a rate for them, those rates will be followed as required by law. TRICARE took into account the variation of national rates for ABA services, as well as cost of living and network capacity to provide those services in the 88 localities across the country using the Medicare GPCI. TRICARE utilized this method to ensure that rates are competitive with commercial rates and Medicare standards. ABA Maximum Allowed Amounts for each locality (rates effective December 23, 2016) were brought about through the National Defense Authorization Act (NDAA) for FY 2017. TRICARE beneficiaries may not fully understand the scope of their benefits and may need some assistance or guidance in order to obtain the ABA therapy services needed. The TRICARE website has developed a set guideline to help families get the care they need. 2. Patients must obtain a referral and authorization prior to services beginning. Diagnosing provider will submit the referral and authorization will occur for six month increments. Authorized ABA supervisor will request continuation of ABA services every six months. 4. Scheduling appointments for outcome measures special testing. Within two years of beginning the program and in subsequent two-year intervals. Additional guidance and support for families can be found here at the Autism Care Demonstration Fact Sheet. As with any specialized services, one of the main questions we encounter at Amvik Solutions is how much will ABA therapy cost the families who qualify to receive treatment for their children and how much will therapists get reimbursed? The following guidelines can help to clarify some of the basic points concerning the cost of coverage. 1. The TRICARE Plan a family falls under is critical in determining costs. Active Duty Family Members (ADFMs) covered under TRICARE Prime will not be responsible for any cost ($0). ADFMs who have the TRICARE Standard and Extra plans are responsible for 15% of costs with a network provider and 20% with a non-network provider. The same applies to TRICARE Reserve Select members. Retired Family Members under TRICARE Prime will pay a $12 copayment for ABA services. A retired family that are covered by TRICARE Standard and Extra, as well as Retired Reserve members, will pay 20% with a network ABA therapy provider and 25% to one that is non-network. While many families will be aware of their specific benefits, there is always the need for professionals involved in the field of ABA therapy to be informed on current TRICARE coverage in order to assist these families in the treatment process. The catastrophic cap is simply the maximum amount that a TRICARE member will pay in any given fiscal year. The status of a family determines what that cap will be for them each year. For active duty families and those using TRICARE Reserve Select, the cap will be $1,000 for the family each fiscal year. All other families will have a cap set at $3,000. This amount applies to all covered services, including pharmacy copayments and annual deductibles. The annual deductible varies depending on the plan, the rank of a sponsor, and the number of people being covered in each family. The cost can go as low as $50 for an individual ranked E4 and below, with the cost rising to $150 for all members with a higher rank. Retired individuals will always pay the $150 amount. For active duty and guard/reserve members, the maximum family amount will be $100/$300, depending again on rank. The same is true for families of retired members. 3. The ABA reimbursement rates under TRICARE were cut in 2016 and there are more planned cuts. On April 1 of last year, TRICARE implemented cuts that affected reimbursement for ABA therapy by as much as 15% in certain cases. The reason for this was an effort by TRICARE to line up their costs with Medicare standards for health service rates, which they are required to do so by law. The main problem with this thinking is that Medicare doesn’t reimburse for ABA therapy. The trickle-down effect is something that has caught the attention of several interested parties. For providers, the primary change that has come about because of the cuts is that many have been forced to make cuts in staff and pay, while not accepting new patients. For agencies that have a large percentage of patients who are covered by TRICARE, this trend is something that could continue for at least the next few years. There are over 10,500 families currently covered by TRICARE’s ABA therapy services and many offer high praise for the results. But there are another 16,000 families that are eligible for care and these cuts have left many unsure whether they can find providers able to take on new patients amidst the cuts. The ACD is definitely a step in the right direction when it comes to Autism care and ABA therapy. TRICARE programs are something that all ABA providers should be informed on, as they will likely come into contact with families covered under this insurance. Families in the West Region will receive coverage from Health Net Federal Services, LLC. Families in the new East Region will receive coverage from Humana Military. These changes to managed care support contractors mean it is vital for ABA therapy providers to familiarize themselves with any new processes that may have been implemented. Being well informed will ensure that you are able to provide the best quality ABA therapy care to active and retired military service members and their families. TRICARE Select has replaced TRICARE Standard and Extra. TRICARE Select is a self-managed, preferred provider network plan. Beneficiary copayments and cost-shares are based on plan type and sponsor’s military status, and possible the sponsor’s enlistment/appointment date. Beneficiaries are being categorized as “Group A” and “Group B”. Benefit enhancements including the removal of referral requirements for TRICARE Prime beneficiaries seeking urgent care; expanded preventative services benefits for TRICARE Select beneficiaries who see network providers; coverage of medically necessary foods and vitamins with those with metabolic disorders. Health Net Federal Services began accepting referral and authorization requests, as well as claims, on January 1st, 2018. Network providers are required to use the HNFS online prior authorization and referral tools for all approval requests and must submit claims electronically. Exception: Network providers in Alaska are not required to submit electronic claims. HNFS will honor referrals and authorizations issued by UnitedHealthcare Military & Veterans through their expiration dates. Online authorization status tools will include active referrals and authorizations issued by UnitedHealthcare that have an end date that extends beyond Jan. 1st, 2018. The Where to Submit Claims guide is a valuable resource for providers. The TRICARE West Region electronic claims payer ID is still the same: 99726. Please visit the TRICARE West For Provider’s website for additional information, resources, sign-in portal, claims submission options, and much more. The Tricare East website – HumanaMilitary.com – remains available for health care providers to: learn about TRICARE programs and coverage, access provider forms, learn about education opportunities, get billing guidelines, access handbooks, and manuals, submit claims, verify patient eligibility, look up codes, update referral and authorization requests. Some tools may require registration. Wisconsin Physicians Service (WPS) is the new fiscal intermediary that will be conducting claims processing for the new East Region. WPS requires that all electronic providers/groups sign, and have on file, a Trading Partner Claims Agreement (“Agreement”) prior to the submission of electronic claims. Additionally, all providers that submit EDI claims directly to WPS need to complete a self-registration process. Any carry-over referrals and authorizations approved prior to December 31st, 2017 will remain valid in 2018. Additionally, TRICARE Select has replaced TRICARE Standard and Extra. TRICARE Select is a self-managed, preferred provider network plan. Please visit the TRICARE East website for providers to find additional information, resources, sign-in portal, claims submission options, and much more. Let WebABA help keep you informed on TRICARE and all other ABA-related news. We are here to support you in your role as an ABA provider to America’s military families today. Our understanding of insurance credentialing, medical billing, practice management software, and more can provide you the help you need to run a successful ABA practice. We also offer a number of services to increase your patient-load and receive payment for claims so you can continue to provide meaningful and quality ABA services. Contact us today at (805) 277-3392 to find out more about our services or to find out more about TRICARE.